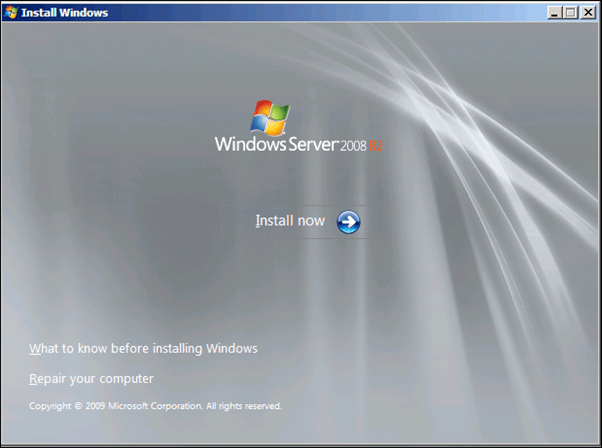 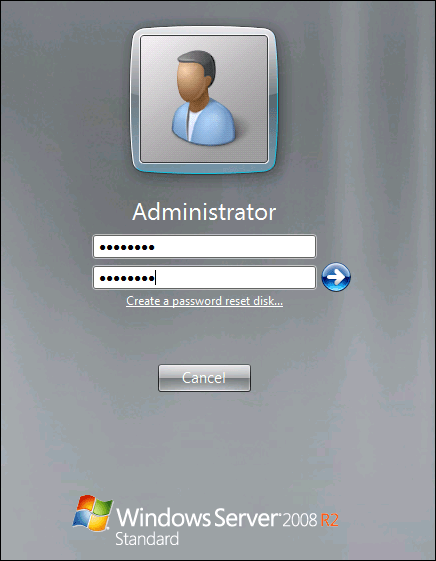 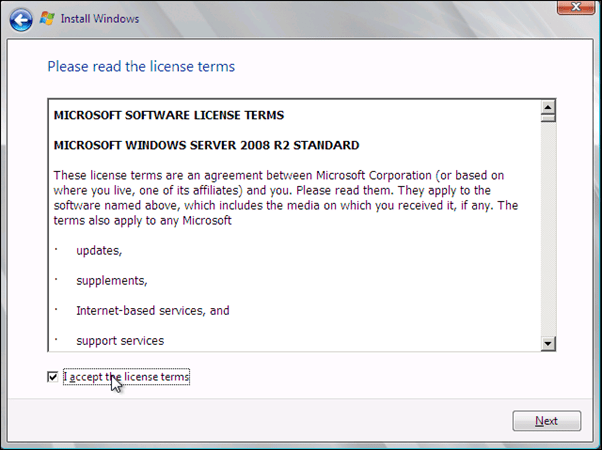 Answer: Windows Server 2008 R2 installation has become very simple while the need for the user input is very little. 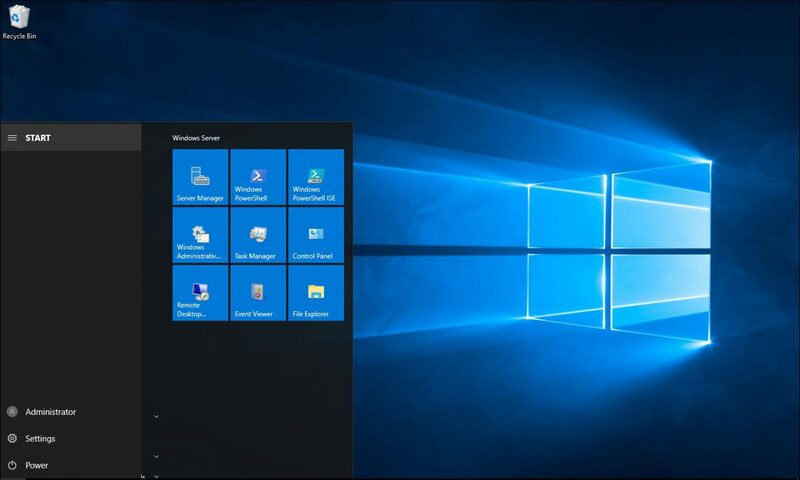 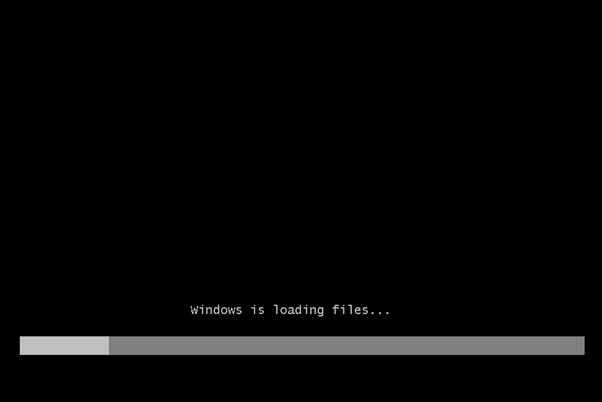 Like any installation you can either use the DVD media to install it or use ISO image if using virtual machine. 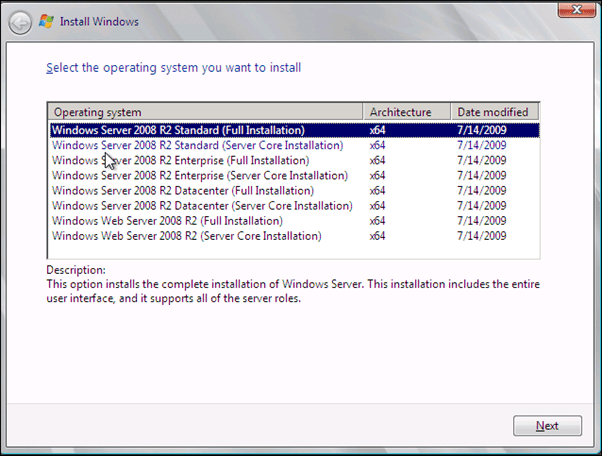 The installation takes around 30 to 40 minutes depending on the hardware. 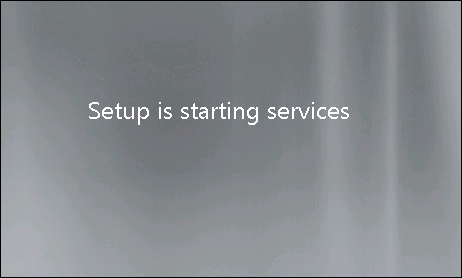 Set will load all the installation files. 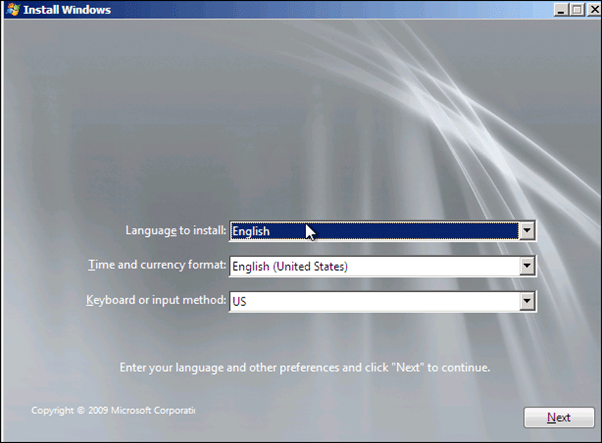 In the first screen you can set the Language, Time and Keyboard type. 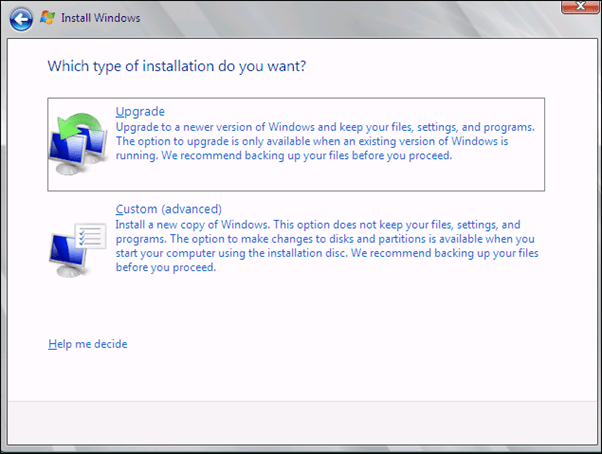 Select the Version that you would like to install. 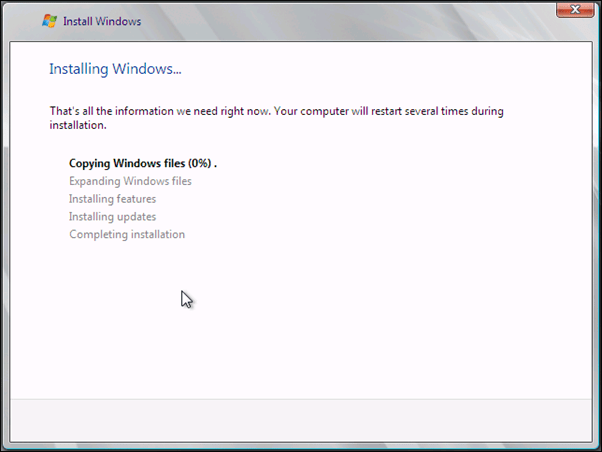 If doing a new install click on Custom. 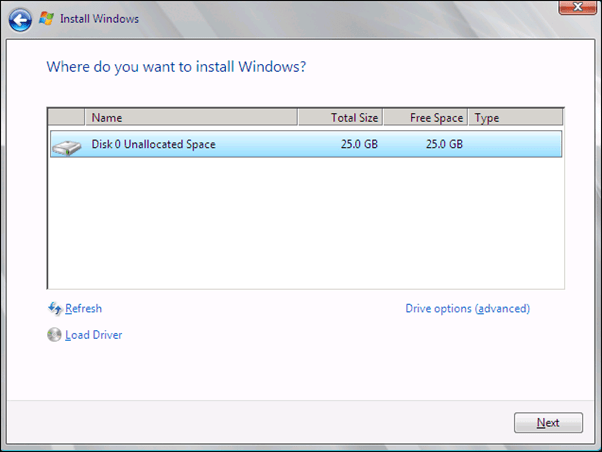 Here you can set the storage settings if needed and click Next. 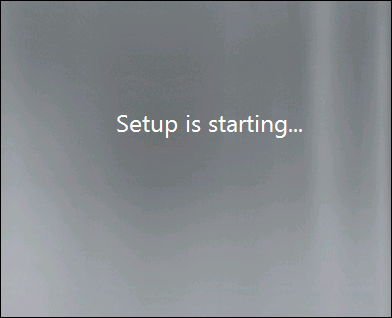 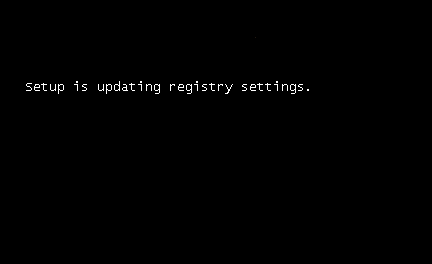 Now setup will start the installation task. 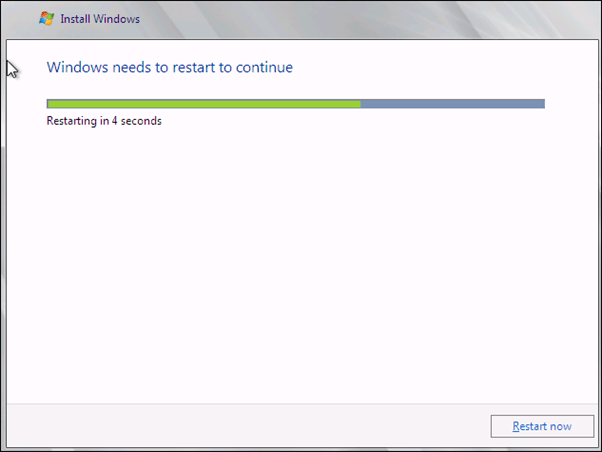 After 20 minutes the server will restart itself. 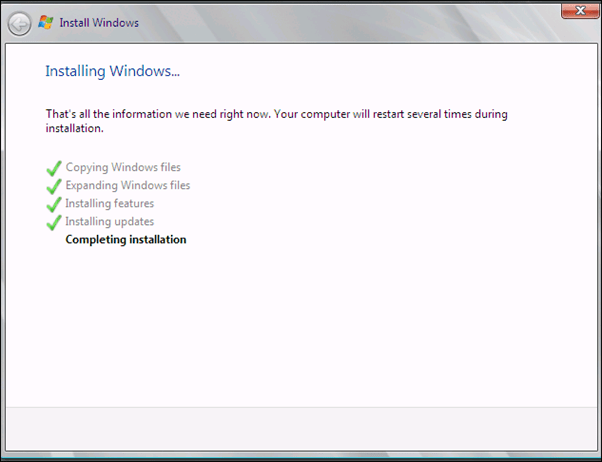 This is the last stage of the install. 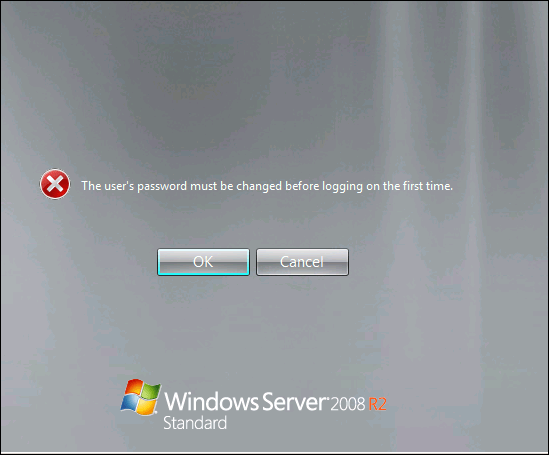 Now you just need to set the password and you can log on to the server.